An extended audio version of this story can be heard on Episode 11 of Work in Progress, Slack’s podcast about the meaning and identity we find in work. The call to the police came on a Sunday morning. Officer Andy Stuart picked up. A citizen was concerned that the Ku Klux Klan were meeting in a neighbor’s garden. The location wasn’t the Deep South. It was the Southwest of England. Somerset, to be exact — a rural area known more for its Glastonbury hippies than its Klansmen, but nevertheless, there was a suspicious group of people gathered in white hooded robes, and Officer Stuart needed to figure out what was going on. He happened to know that particular Sunday was a “cross-quarter,” a day that falls halfway between an equinox or a solstice. But the real clue was the address. When he heard the name of the road, Stuart recalled that a druid lived there. Then he put it all together. Stuart knew all of this of this because in addition to being a cop, he’s a druid and a pagan himself. 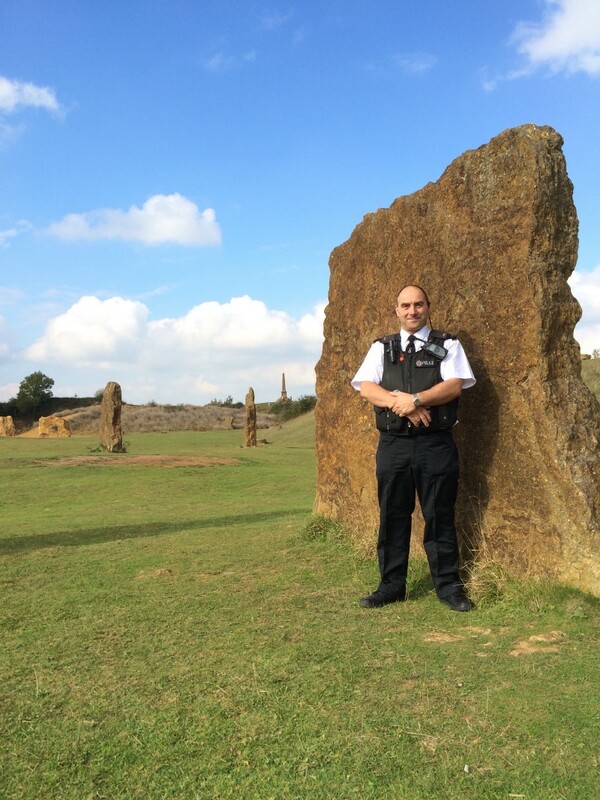 Stuart is a proud member of the Police Pagan Association in the UK, and, since 2009, the contact person for all pagan-related police matters in Southwest England. Paganism is the seventh largest religion in the UK. Some 76,000 people there identify as pagan, and yet most people don’t really know what it means. That’s where Officer Stuart comes in. 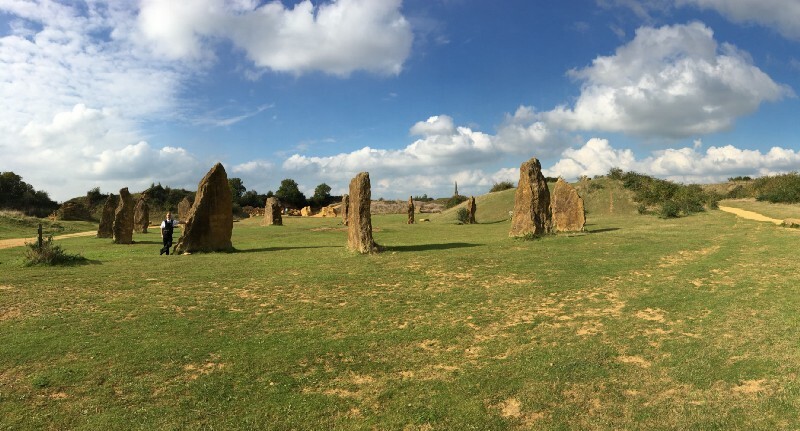 “Paganism in its broadest term is a set of nature-based beliefs,” Stuart says. Pagans revere nature, trees, the sun, the tides and seasons. They do not, contrary to popular belief, currently sacrifice virgins. According to Stuart, the most they might offer up is a loaf of bread or an apple. And no, they don’t dance naked in the woods. They wear robes. Stuart has been asked all of these questions and he’s happy to answer them. For the past seven years, Stuart has been acting as a kind of interpreter, serving his community by sharing what he knows about his belief system. If a pagan gets arrested, for instance, and there is a question about dietary needs, the police in Southwestern England can ring Stuart. If someone is targeting horses by braiding their manes when no one is looking (true story), and the rumor is that it’s a pagan ritual (it’s not), Stuart is there to take the take the call. Andy Stuart’s official title is community beat manager. It’s a role that is less crime-fighting and more problem solving and relationship building. He looks after the interests of 15,000 people in the towns and villages that he covers, and most of his day-to-day work does not involve religion of any kind. One common problem in the area is dealing with escaped livestock that end up on major motorways — it’s potentially fatal to both animal and human. And like police officers everywhere, a large part of Stuart’s day is spend dealing with those with mental health problems. It’s a job of service, and one that he loves. Like paganism, Stuart found police work later in life. Before becoming a cop, he worked as a master cheese maker and then in a hydraulics factory, before realizing that what he enjoyed most was the time he spent volunteering with the police force. “One of the biggest draws for me was to be able to think on my feet and deal with whatever situation arises,” he says. When he was a child, Stuart always found solace in nature and had a special affinity with trees. Later, when he was going through a divorce, he found himself questioning many parts of his life, including the Christian religion he was raised with. He then followed “lots of little arrows” that pointed towards Paganism. Stuart kept his police life and his druid studies very separate until 2009, when he found out about the Police Pagan Association, and the opportunity arose to combine the two vital parts of his identity. Emily Brady secretly worships redwood trees.